Will Jefferson was born on July 21, 1973, in Norfolk, Virginia. He enlisted in the U.S. Marine Corps on September 27, 1990, and went on active duty beginning September 11, 1991. Jefferson completed basic training at Marine Corps Recruit Depot Parris Island, South Carolina, in December 1991, and then attended the School of Infantry at Camp Geiger, North Carolina, from December 1991 to March 1992. PFC Jefferson next attended Amphibious Reconnaissance School at Naval Amphibious Base Little Creek, Virginia, from March to May 1992, followed by service with the 2nd Reconnaissance Battalion of the 2nd Marine Division at Camp Lejeune, North Carolina, from May 1992 to April 1994. During this time he attended Emergency Medical Technician training, Basic Airborne training, and Basic Scuba training. Corporal Jefferson then served with Headquarters Battalion, 2nd Marine Division at Camp Lejeune from April 1994 until he left active duty on September 11, 1995. He remained in the Marine Corps Reserve until receiving an honorable discharge on December 3, 1995, in order to enlist in the U.S. Air Force on December 4, 1995. SSgt Jefferson completed Combat Controller training in March 1997, and then served as a Combat Control Operator, Special Tactics Operator, and Flight Element Leader with the 21st Special Tactics Squadron at Pope AFB, North Carolina, from March 1997 to October 2002. 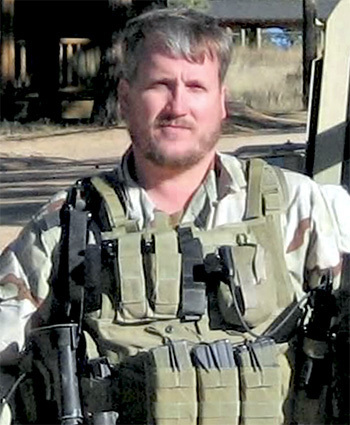 His next assignment was as a Combat Control School instructor with the 342nd Training Squadron at Pope AFB from October 2002 to March 2006, and then as a Special Tactics Operator back with the 21st Special Tactics Squadron at Pope AFB from March 2006 until he was killed in action in Kandahar Province, Afghanistan, on March 22, 2008. Will Jefferson was buried at Rosewood Memorial Park in Virginia Beach, Virginia. Technical Sergeant William H. Jefferson Jr. United States Air Force, distinguished himself by exceptionally meritorious service as Joint Tactical Air-Traffic Controller, for Special Forces Operational detachment Alpha (SFODA) 3332, Special Operations Task Force-32, Kandahar Airfield, Afghanistan, in support of Operation ENDURING FREEDOM (OEF) from 21 January 2008 to 22 March 2008. During this period, Sergeant Jefferson provided superior air asset information to the Detachment Commander for several joint operations within the Helmand Province, Afhanistan. His extensive knowledge enabled the detachment to operate with Close Air Support (CAS) on the battlefield and synchronize combat operations enabling the SFODA and Task Force-10 to successfully accomplish critical shaping and support operations allowing the Task Force (TF)-10 to enter and provide Humanitarian Assistance to small villages such as Khakesh Kariz. Sergeant Jefferson's communications skills assisted TF-10, to successfully execute their assigned missions as part of these operations. His continual interaction and advice ensured the success of Operational Detachment Alpha (ODA) 3332 and TF-10. The success of the detachment was recognized by the Combined Joint Special Operations Task Force-Afghanistan Commander. Sergeant Jefferson's composure while establishing a landing zone allowed ODA 3332 to Medical Evacuation personnel wounded in an Improvised Explosive Device strike. The CAS that Sergeant Jefferson controlled helped ensure the quick recovery evacuation of all wounded personnel. Sergeant Jefferson's resourcefulness and ingenuity in an austere environment enabled the detachment to communicate and coordinate CAS through multiple echelons utilizing a wide array of close air support systems. Sergeant Jefferson's unparalleled dedication ensured the detachment was well versed in call-for-fire related subjects. His extensive planning, development, and execution of an informative and concise communication program led to the overall combat effectiveness and survivability of the detachment to ensure the safe return of all team members. On 22 March 2008, in Kandahar Province, Afghanistan, Sergeant Jefferson made the ultimate sacrifice and gave his life in defense of his country. His actions are in keeping with the finest traditions of military service and reflect distinct credit upon himself, Special Operations Task Force-32, the Combined Joint Special Operations Task Force-Afghanistan, Special Operations Command Central, and the United States Air Force.